The first statewide market meat goat show was held at the Mississippi State Fair in 1996. 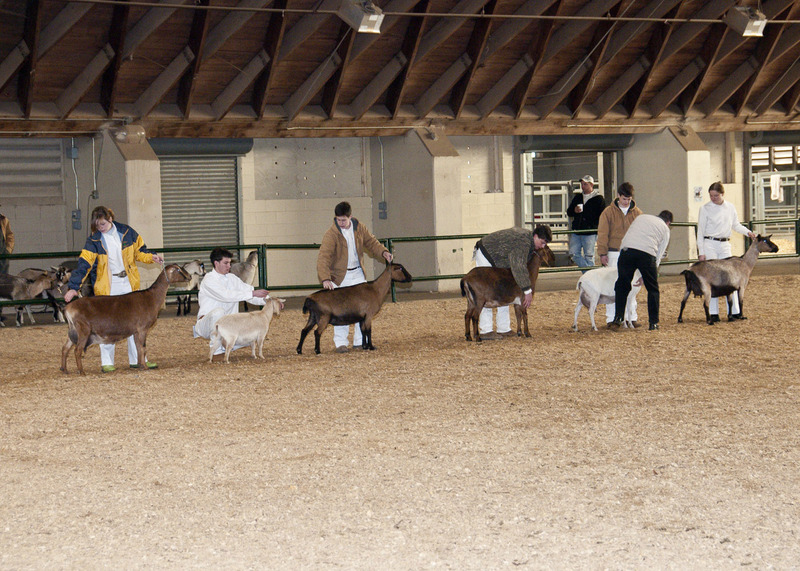 Market goats were added to the district-level shows in 1999. By 2001, interest in show goats had increased enough to merit adding goats to the statewide Dixie National Livestock Show. The popularity of the small ruminants stems largely from their disposition. “It’s hard for an 8-year-old to handle a 125- to 150-pound lamb because lambs can be very stubborn and very strong,” Brown said. “A 250-pound hog and an even larger calf also can be intimidating. “But the personality of a goat makes it a logical animal to start a young person with. Goats are inquisitive and docile by nature. When you add the element of human interaction, they become even easier to handle,” he said. Debbie Huff, of Brandon, said that is the reason her oldest son David, now 18, started showing livestock with a dairy goat. Goats are also a good beginner project for children because of their relatively low cost. Goats can range in price from $150 to $250 or more. A set of clippers costs about $100, and feed for a year is $50 to $100. Getting to the shows is easy with an inexpensive cage in the bed of a pickup. But it is rare for a child to give up showing goats, even if they move on to larger livestock. That is not a bad deal for kids or parents. David’s parents, who homeschool all four of their boys, agree. David Huff, who plans to study engineering, begins college in August.